I am so thrilled to be invited to participate in Art Ache. Opening Thursday 2nd July at Golden Dawn in Auckland. Art Ache is a bi-monthly event and was founded by Aimee Ralfini, an Elam Graduate. “Art Ache is about clearing out the studios and testing new ideas. It’s a really comfortable environment to potentially meet new patrons. 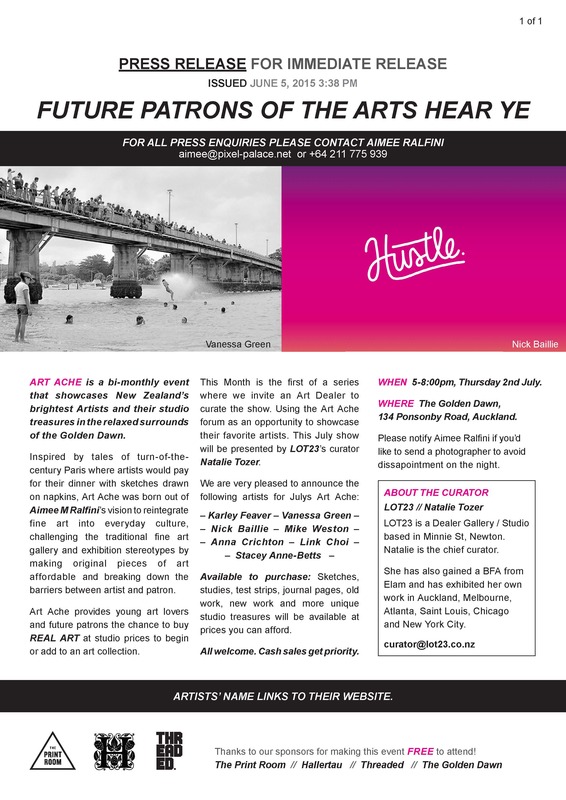 It’s a different way to get art to the community.” This particular event is curated by Natalie Tozer from Lot23. Natalie, also an Elam Grad and has been managing the curating the gallery at Lot23 since they opened. With the teaming of Aimee and Natalie, this selection of artists is not to be missed. If you are wanting to start your art collection, this is the perfect time to do so. The artists are selling some never before seen works from their studios, old stuff, new stuff and concept pieces. I am going in to this event with the premise to inspire new collectors, get them excited about the artwork they are looking at, and give them the opportunity to get a piece of amazing art in their homes. This entry was posted in Exhibitions and tagged Aimee Ralfini, Art Ache, Elam Grad, Karley Feaver, Lot23, Natalie Tozer, Taxidermy Art, Taxidermy by Karley Feaver. Bookmark the permalink.